The great outdoors is suddenly not so great when DNR writes you a ticket. The freedom you felt enjoying nature is now crushed and your day, season, and future hunting seasons are maybe ruined. Many people do not know that some hunting violations (if convicted as charged) require a mandatory jail sentence. Unfortunately, in the eyes of the State of Michigan the wildlife is its property and it determines the rules as to how you can lawfully possess it. Ignorance of the law is not an excuse – that is why they give out the Michigan Hunting and Trapping Digest at the start of every season. 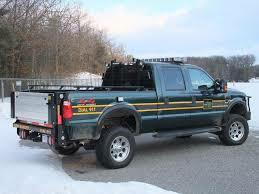 Because the state of Michigan are stewards of our natural resources, the DNR is charged with the enforcement of any violations of conservation laws and they take that responsibility seriously! It is always a good idea to understand the process of how a DNR officer may perform his or her duties. This is even important for the sportsman or sportswoman who tries to do everything by the book. Why? It is possible for someone to unintentionally violate the law. The conservation laws change from time to time. Perhaps you were not aware of a change as it related to baiting? Maybe the fish possession or size limit changed from one season to the next? In some instances you might be accused of doing something unlawfully even through it isn’t true. 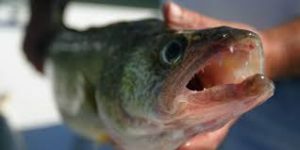 In Michigan, many people are prosecuted every year for hunting and fishing violations. These hunting and fishing violations can sometimes result in arrests, jail time, probation, large amounts of fines/costs/restitution, the forfeiture of hunting/fishing equipment, and the loss of hunting privileges or fishing privileges. 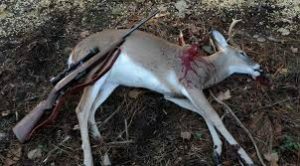 A Michigan Department of Natural Resources (DNR) investigation often begins with a tip that they receive from a neighbor, or bystander, as to a particular hunting violation. It could be from a dog tracker or a deer processor. DNR officers are usually quick to respond, because the window to conduct a proper investigation is often small. Sometimes the investigation begins with something that the DNR officer observed while performing his or her job. The type of investigation conducted usually depends upon the type of case that is investigated. 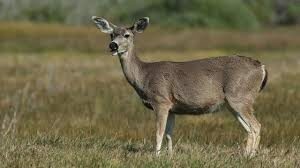 If the DNR conservation officer is investigating a hunter for illegally taking a deer, he or she will attempt to interview the hunter and other persons that have knowledge of the alleged offense. Do not lie to an DNR officer – that is a crime. However, remember that you have a 5th Amendment privilege not to incriminate yourself. You are not obligated to provide any statement regarding the alleged offense. You also have a right to retain an experienced lawyer to represent you, such as Attorney Daniel Hilf, to defend you.